Why does my cat need to be hospitalised for radioactive iodine treatment? Once your cat has received the radioactive iodine injection we need to keep him/her hospitalised in a specially equipped and licensed hospital isolation unit. This is a legal requirement until your cats radioactivity emission is below a safe level. We do measure the level regularly to make sure your cat is released as soon as possible. How long does the hospitalisation usually last for? Cats will clear the radioactivity from their system at different rates depending on their metabolism. Providing the patient’s emission are below a certain safe level, we are now able to release them from as early as seven days after the injection of I131. However some cats might require staying in the unit longer. We monitor the level closely to allow our feline patients to be reunited with their owners as soon as possible. Can I visit my cat during the hospitalisation? No, unfortunately it is not possible for owners to enter the unit under the license agreement for health and safety reasons. All staff entering the unit have to be trained and monitored for radiation exposure. Will my cat be safe in the special unit for such a long time? We check the animals regularly once they enter the unit. But because we will not be able to take blood, urine or perform tests such as X-rays while your cat is in the unit, we ask for a range of tests to be done prior to admission. This is to make sure your cat is healthy enough to undergo the treatment and rule out any other major problem that might need treating first or make you change your mind regarding the treatment. Who decides these rules? I have called another place offering this treatment and the protocol was not the same. We have to follow the local rule edited by our Radiation Protection Advisor and Supervisor. They work under the Environmental Permitting Regulations (EPR 2010) enforced by the Environment Agency (EA). Because there isn’t one common legislation regarding the treatment of cats with I131, the local rules apply and they can differ from one county to another. Can I leave something from home with my cat for him/her during the hospitalisation? Of course and we recommend it. Cats often enter the unit with a familiar t-shirt or towel. At the end of the hospitalisation, we will have to dispose of these items because of the radioactive contamination. We will therefore ask you to bring something small as the quantity of waste we produce is very controlled. We advise to provide a t-shirt so we can cut pieces and replace them when soiled so your cat can have a familiar reassuring smell during its entire stay. Will my cat always be kept in cage? The unit is designed like a hospital cattery. Twice daily the unit is cleaned and while the litter and food bowls are changed, we let the cats out for a little exercise and a play on the scratch post. How will I know how my cat is doing during the hospitalisation? One of our qualified nurses is in charge of supervising the unit. The same nurse will have this duty all week to ensure continuity. This allow us to notice subtle changes in behaviour and detect potential problems earlier. She will give you regular updates during your cat’s stay with us. The nurses will update you by email at least three times weekly. You are, of course, welcome to call us for some news as often as you wish. 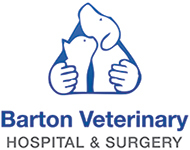 If there is any health issue or treatment necessary while your cat is kept in the unit, one of our veterinary surgeon will get in touch with you. What should I do after my cat has received radioactive iodine treatment? No further treatment is necessary in 98% of cases. We will ask you to organise a final check up with your vet two to three months after we have released your cat from the unit. Will I need to follow special measures at home following treatment? Limit contact with your cat to five minutes per day and wash your hands after stroking. Keep your cat indoor and in a designated area other than your kitchen or bedroom. Clean immediately any vomit or fur ball from your cat, wearing gloves. Clean your cat’s litter tray with gloves and flush the content in the sewage using flushable litter. Will my vet know what happened to my cat during treatment? Once you have come to collect your cat, we will write a report to your usual vet to explain everything we have done and the follow up advice we give after radioactive treatment. My cat is quite skinny and I am worried he/she will lose more weight once hospitalised. We pay great attention to the weight of the cats hospitalised in our unit as weight loss is one of the major symptoms of hyperthyroidism. They are weighed regularly and our nurses are just amazing at satisfying the fussiest eaters. We have a great range of cat foods and fresh fish or chicken is always on hand if necessary. As the disease is rapidly controlled with the radioactive iodine treatment, our experience is that despite being hospitalised, cats keep their weight. In most cases they even do put on a little on and we are just as delighted as the owner when they go home less “skinny”. When cats stay only seven days in the unit, they might not have yet have time to put weight back on. What if my cat stops eating while he/she is hospitalised? If a cat becomes anorexic during the hospitalisation, no matter what food we tempt him/her with, we will go in the unit as often as necessary to check him/her. A vet will examine the cat and decide if an appetite stimulant is necessary. If we were worried about fluid intake, we would keep the cat on a drip. This is fortunately rarely necessary. I have pet insurance for my cat. Will I have to pay upfront for the treatment? We are happy to offer a direct claim service and claim the cost of the treatment directly from your insurance. However you are responsible to check your insurance limit and will be liable for any excess or fee not covered by your insurance policy. We would recommend obtaining a pre-authorisation from your insurer if you want to be sure you are fully cover. We can provide you with an itemised estimate for this purpose. Can I cancel the treatment? The iodine vial is ordered specially for your cat and the process follows strict legislation. Providing you let us know at least seven days in advance, you can cancel the treatment without incurring fees. If you cancel less than seven days before your cat is due treatment, the delivery cannot be cancelled and you will be liable for the cost of the vial.